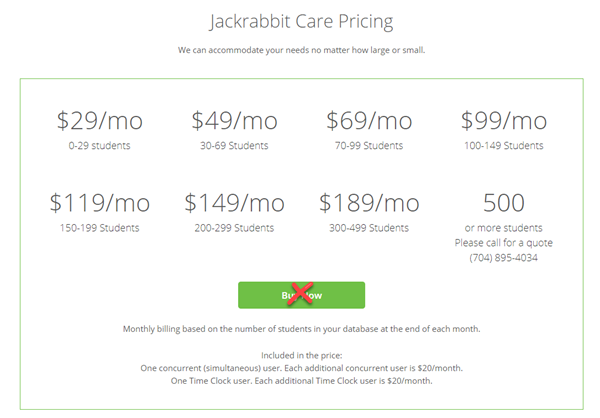 When you are ready to move to a paid Jackrabbit subscription, from your Free Trial database, the Jackrabbit Billing Team will need you to confirm your Business Information, submit your Billing Information, and agree to Jackrabbit's Terms and Conditions. To supply this information to the Billing Team, click the Buy Now option on the blue menu bar in your database. This will open up the Buy Now form where you can enter the required information. Do not use the Buy Now form that is located on our brochure site (jackrabbitclass.com) as this is intended for clients who have not had a Free Trial and it will create a brand new database. You will likely have entered a lot of information into your Free Trial and you don't want to lose it! When you use the Buy Now option located within your database, the Billing Team will convert the Trial database to a subscription without you losing any of your data! 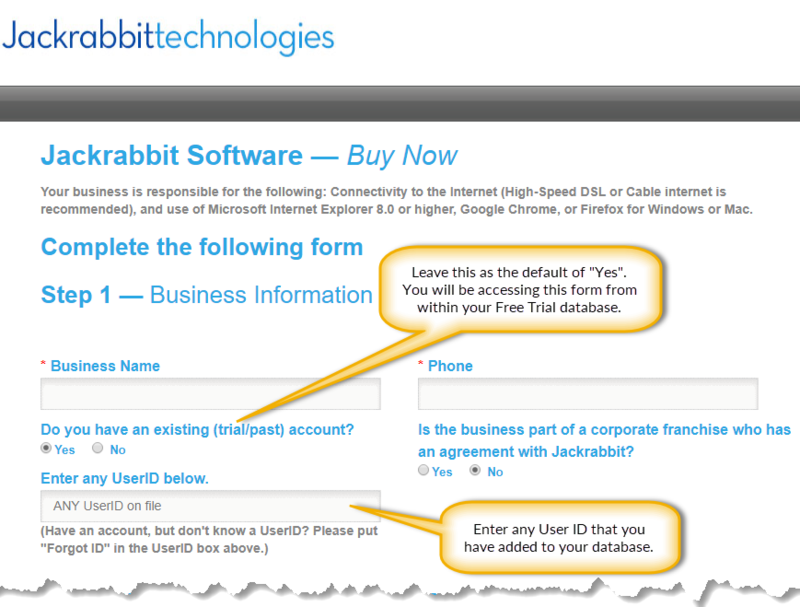 If your Free Trial has expired, and you wish to move to a Jackrabbit subscription, please email our Onboarding Team at info@jackrabbittech.com and one of our Reps will get your Free Trial extended so that you will be able to log in and use the Buy Now option.